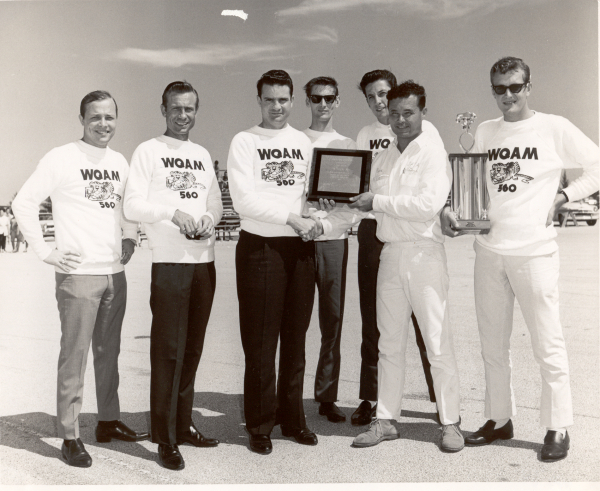 The WQAM Tigers wearing their WQAM sweatshirts taken sometime during the early 1960’s. From left to right are Rick Shaw, Ted Clark?, Charlie Murdock, Jim Dunlap and Jack Sorbi? and Lee Sherwood. What the award is and who’s holding it are unknown. 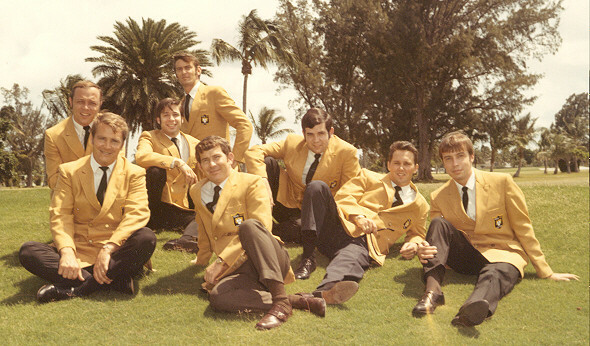 Here is a picture of the WQAM Tiger Team wearing their WQAM blazers, taken in the summer of 1968. From left to right are Rich Shaw, Dan Chandler, Jan Kantor (not a DJ/promotions only), Jim Dunlap in back, Ronnie Grant in front row, Johnny Knox, John Paul Roberts., and the overnight DJ Clark Moore. Photo courtesy of John Paul Roberts. PAMS Series 25B “The Happy Difference” Sonovox version. (I need the entire package). The 1963 package of jingles sung by a group called the Skipjacks. It may have been a series called “Station Break” by Tucker productions. There are over 1000 cuts including a complete set of time and temperature jingles replacing the Futursonic jingles.